Well-chosen in material, fine in workmanship, excellent in quality and favorable in price, Betrue Sporting Goods's cycling bib shorts is highly competitive in the domestic and foreign markets.Our brand always adheres to the aesthetic concept of 'contemporary, texture, playfulness and elegance'. With high-quality fabrics and unique tailoring techniques, creative combination, and high compatibility for multiple occasions, our brand provides consumers with a new perspective on life and wearing enjoyment. 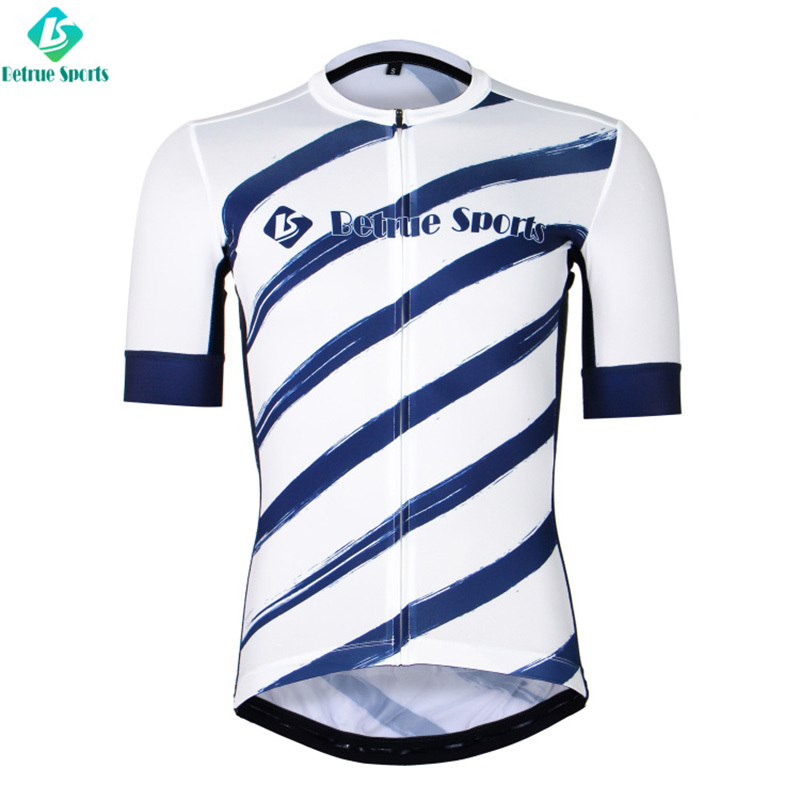 cycling bib shorts's outstanding advantages are as follows. Betrue Sporting Goods has a talents team consisting of senior industry experts, elites and R&D personnel. They provide strong technical support for our company. Betrue Sporting Goods actively adopts customer suggestions and continuously improves the service system. Betrue Sporting Goods is committed to serving customers and making them satisfied. Pursuing excellence is our enterprise spirit. With the strong technical strength and serious attitude, we create a first-class brand and build a good corporate image. The final goal is to be a leading company in the industry. Betrue Sporting Goods was established in 2000. After the development for years, we find the right position and form our own unique style. Moreover, oem sportswear are highly recognized by the market and are highly loved by consumers. 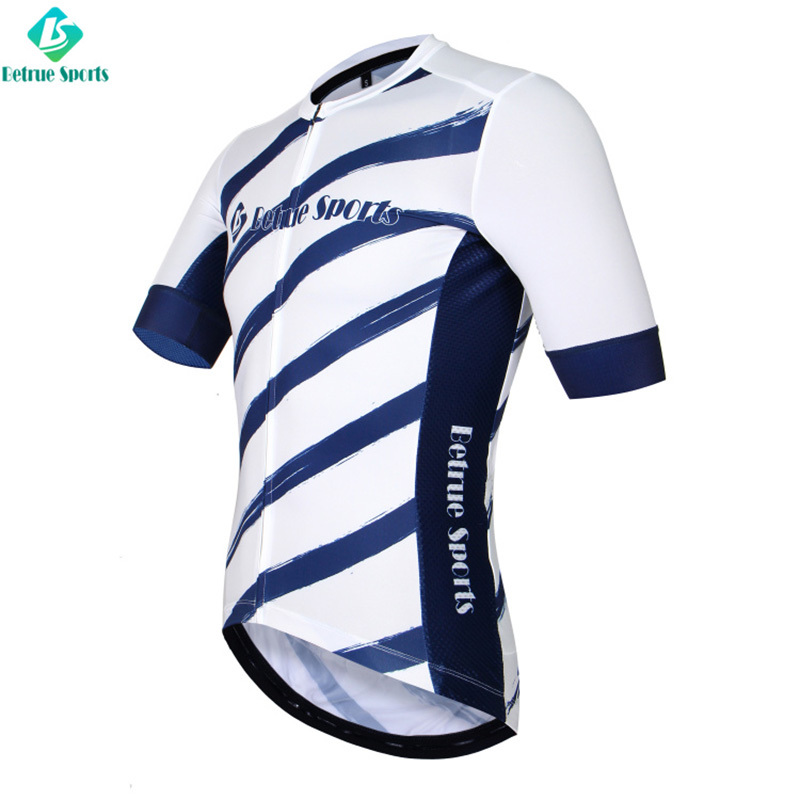 Betrue Sporting Goods has great sales capability and broad sales channels which allows custom cycling jersey to be circulated in the domestic market smoothly. The sales volume ranks top in the industry. Ordinary round collar suitable for all kinds of people. Reflective tape under the back pocket. Full concealed zipper use Japanese YKK zipper. 1. Guangzhou Betrue Sporting Goods Co.,Ltd. is internationally competitive in the mens cycling jersey market. 2. Guangzhou Betrue Sporting Goods Co.,Ltd. strictly manufactures mtb jersey according to international standards.